Home Unlabelled New Technology Brings Business Jet Operating Costs Back To Earth. New Technology Brings Business Jet Operating Costs Back To Earth. Anyone considering an aircraft purchase, whether it’s new or used, needs to take into account not just the acquisition costs, but the costs to maintain and operate the airplane. Part of that realistic assessment means to also accept that sometimes the airplane will be unavailable, when scheduled maintenance is done. Now, advances in technology are making the maintenance schedule much more user-friendly than it used to be, and also making it easier for mechanics to diagnose and correct problems. 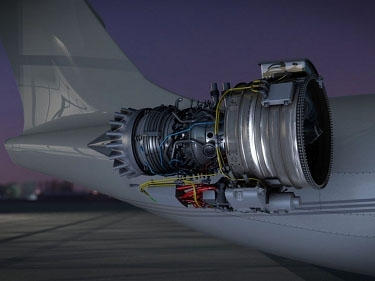 Traditionally, new engines are assigned a “time before overhaul” (TBO), generally up to 5,000 hours of operation or so, before they must be stripped down, inspected and upgraded as needed — a time-consuming and expensive process. But new Silvercrest jet engines under development by Snecma, a French manufacturer, will be delivered with no designated TBO. Instead, the engines will deliver a steady stream of data that can be monitored by mechanics, even during a flight in real time. The mechanics can determine the engine’s maintenance needs on a continuous basis. Snecma says this will mean lower maintenance costs and better dispatch reliability. Cessna plans to use the new engines on its newest, biggest jet, the Citation Longitude, now under development. “The engines will be on an on-condition maintenance plan,” Cessna said, when the news was announced in the spring. This new technology is “expected to reduce the operating costs of the aircraft because maintenance intervals will be extended significantly,” the company said. Anyone with a late-model car might be underwhelmed by this news, since for years now mechanics have been plugging into computers to assess the condition of automobile engines. But progress is painstakingly slow in the aviation world, where every change must meet strict U.S. and international safety guidelines and undergo extensive approvals by government agencies. This process can be frustrating, but it certainly also helps to account for the excellent safety record of business aviation. 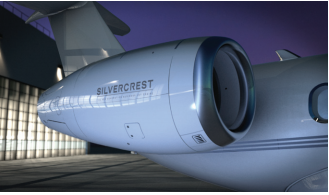 Flight testing of the new Silvercrest engines is expected to start next year. First deliveries of Cessna’s Longitude are scheduled for 2017.